In the UK, the Prime Minister leads the government with the support of the Cabinet and ministers. You can find out who runs government and how government is run, as well as learning about the history of government. 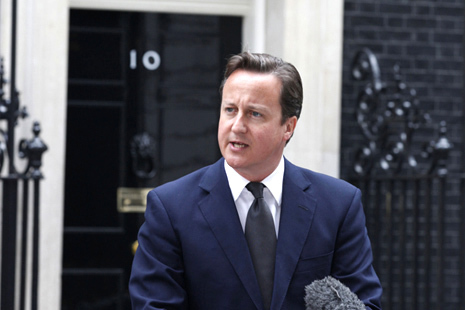 The Prime Minister is David Cameron MP and he is based at Number 10 Downing Street in London. 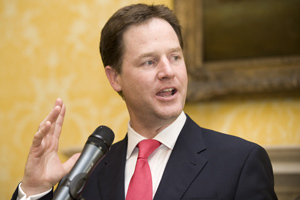 The Deputy Prime Minister, Nick Clegg MP, is the deputy head of government. He is the leader of the Liberal Democrats and was appointed Deputy Prime Minister when the coalition government was formed following the 2010 general election. His office is part of the Cabinet Office at 70 Whitehall. The Cabinet is made up of the senior members of government. Every Tuesday during Parliament, members of the Cabinet (Secretaries of State from all departments and some other ministers) meet to discuss what are the most important issues for the government. 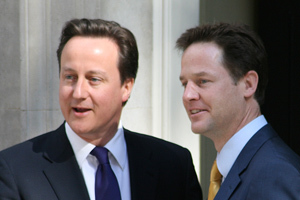 The Conservative/Liberal Democrat coalition government was formed on 10 May 2010. The coalition agreement sets out a joint programme for government to "rebuild the economy, unlock social mobility, mend the political system and give people the power to call the shots over the decisions that affect their lives". 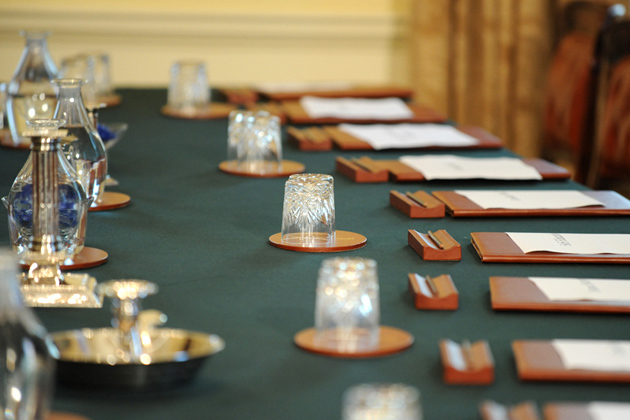 Ministers are chosen by the Prime Minister from the members of the House of Commons and House of Lords. They are responsible for the actions, successes and failures of their departments. Departments and their agencies are responsible for putting government policy into practice. Some departments, like the Ministry of Defence, cover the whole UK. Others don’t – the Department for Work and Pensions doesn't cover Northern Ireland. This is because some aspects of government are devolved to Scotland, Wales and Northern Ireland. Non-ministerial departments are headed by senior civil servants and not ministers. They usually have a regulatory or inspection function like the Charity Commission. These are part of government departments and usually provide government services rather than decide policy - which is done by the department that oversees the agency. An example is the Driver and Vehicle Licensing Agency (overseen by the Department for Transport). These have varying degrees of independence but are directly accountable to ministers. There are 4 types of non-departmental public bodies (NDPBs). Executive NDPBs do work for the government in specific areas - for example, the Environment Agency. Advisory NDPBs provide independent, expert advice to ministers - for example, the Committee on Standards in Public Life. Tribunal NDPBs are part of the justice system and have jurisdiction over a specific area of law - for example, the Competition Appeal Tribunal. Independent monitoring boards are responsible for the running of prisons and treatment of prisoners - for example, Her Majesty's Inspectorate of Prisons. Over two-thirds of civil servants work in the four largest departments. The Civil Service does the practical and administrative work of government. It is co-ordinated and managed by the Prime Minister, in his role as Minister for the Civil Service. Find and apply for vacancies in departments, executive agencies and non-departmental public bodies. Search Contracts Finder for any government contract over £10,000 and get details of all previous tenders. A policy is a statement of what the government is trying to achieve and why. Government policy is the sum of all the individual policies – as a whole they help to define where the government stands on broad political issues. On GOV.UK you can see all our policies and find out exactly what we are doing, who’s involved, who we’re working with (partner organisations) and who we’ve asked (consultations). Interact with government through consultations and petitions to inform and influence the decisions it makes. Offer your skills and energy to a project in your neighbourhood, around the UK or overseas. You can also read policies about how government is increasing participation. Read about ways to get involved. Laws go through several stages before they are passed by Parliament. The House of Commons and the House of Lords work together to make them. White papers outline proposals for new laws. Green papers ask for public comments before the white paper is published. Bills are proposals for new laws or changes to existing ones. Once agreed by Parliament, they have to be approved by The Queen before becoming law. These are bills which have been approved by the Commons, the Lords, and The Queen. The relevant government department is responsible for putting the act into practice. The Freedom of Information Act gives you the right to ask any public sector organisation for all the recorded information it has on any subject. Anyone can make a request for information – known as a Freedom of Information (or FOI) request. There are no restrictions in your age, nationality or where you live. Government produces official statistics about most areas of public life. Statistics are used by people inside and outside government to make informed decisions and to measure the success of government policies and services. Find out about the legislation that governs the publication of UK national and official statistics. Putting data in people’s hands can help them have more of a say in the reform of public services. On data.gov.uk you can easily find, review and use information about our country and communities - for example, to develop web applications. In Scotland, Wales and Northern Ireland, devolved administrations are responsible for many domestic policy issues, and their Parliaments/Assemblies have law-making powers for those areas. Councils make and carry out decisions on local services. Many parts of England have 2 tiers of local government: county councils and district, borough or city councils. In some parts of the country, there’s just one tier of local government providing all the functions, known as a ‘unitary authority’. This can be a city, borough or county council – or it may just be called ‘council’. As well as these, many areas also have parish or town councils. There are 650 elected MPs in the House of Commons. Britain has one of the oldest governments in the world. Find out more about how it has worked and who has shaped it in the history section. 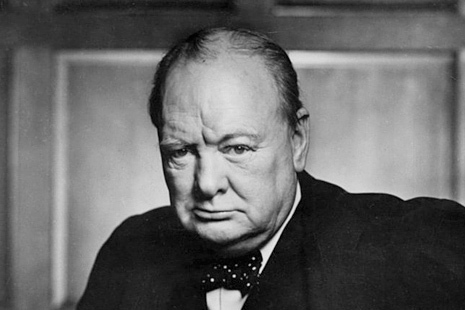 Read about past Prime Ministers, Chancellors and Foreign Secretaries in notable people. Learn more about historic government buildings on Whitehall and around the UK. You can also find links to historical research, documents and records.